I just witnessed a hit and run by this mercs plate SBY2328L. Location is mscp @ blk 440 Pasir Ris Dr 6, 11.30AM. 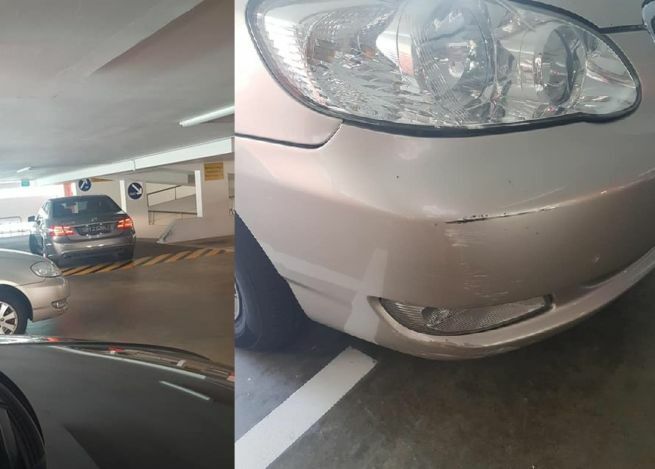 Car hit while turning out of carpark lot. Driver came down to take a look at his own car without leaving and note and contact to the victim. Not big impact or damage but totally irresponsible action and totally unacceptable, imagine you’re the victim getting hit on CNY eve. Updated: owner contacted. Culprit is still on the loose. Previous ArticleHUSBAND AND WIFE JAILED 3 YEARS FOR MAID ABUSE! Next Article 3 ERPs WILL NOT CHARGE DURING MORNING PEAK HOURS!